​The 1st Annual Iceplex Easter Egg Hunt, presented by Fidelis Care, is set for April 20th from 10:00am to 11:00am! 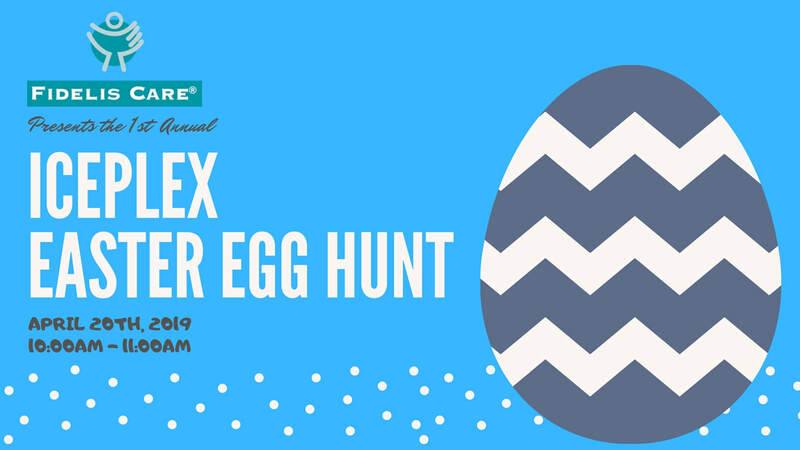 The event will take place inside Lattimore Arena, where the ice has been removed for the summer and replaced with turf, which will be decorated and where the eggs will be hidden! All Easter Eggs will be filled with candy and prizes! All Easter Egg Hunters must have a pre-purchased event ticket, and parents are not required to have a ticket to join their child during the hunt. Parents that wish to participate in ice skating are required to purchase skating passes, which are available at the Iceplex front desk on the day of the event.